The majority of those who visit California’s Big Sur Coast go there for the views, but the ocean definitely isn’t the only thing worth going there for. Big Sur is also well known for its natural hot springs that can give travelers the perfect opportunity to relax. These springs have been around for more than 6,000 years and have been important to Esselen Indians and other groups as they have been used for rituals as well as healing. Its foundation as a destination dates back to 1869 when Thomas Slate, who had severe arthritis, went to the springs after hearing about its special healing properties. He then had the property homestead by the 1880s, giving rise to a settlement called the Slates Hot Springs. This became the first tourist-oriented establishment of its kind within Big Sur, attracting those who sought the spring’s healing and relieving properties. Later on the area was bought by Henry Murphy, a well-known doctor of Salinas. Together with his wife, Bunny, he purchased the property with the thought of establishing a European health spa near where Highway 1 was eventually constructed after a project which lasted for a period of 18 years. While it was generally called the “Slate Hot Springs”, its official business name was Big Sur Hot Springs. Visitors who come down from the hill will be greeted by the establishment’s upper level, which is where the outdoor massage deck is found. The first thing they’re likely to notice is the roof that’s planted with grasses that are native to the coast. The upper level features a hot tub and is equipped to grant access to even handicapped visitors. Even the changing room, shower, and bathroom are wheelchair friendly. Heading down to the lower levels will take visitors to a perpetual fountain. From there, the lower levels are divided mainly into two sides - a quiet one and a silent one. Each of these sides will have their own changing rooms, showers, and a glass wall that gives a view of the ocean. There are lots of indoor and outdoor tubs in the lower levels. In addition, there are clawfoot tubs for those who want more privacy. Both the upper and lower levels have their massage areas. Towels are also available to guests. Going to the springs is about relaxing and being comfortable! And while the place does welcome the idea of people opting to come without clothing, they should do so discreetly, since the place is still a public one shared by many people. Hitting the springs without any clothes is just as fine as those who go there with clothes on. The springs, however, are not just an amenity at a resort. 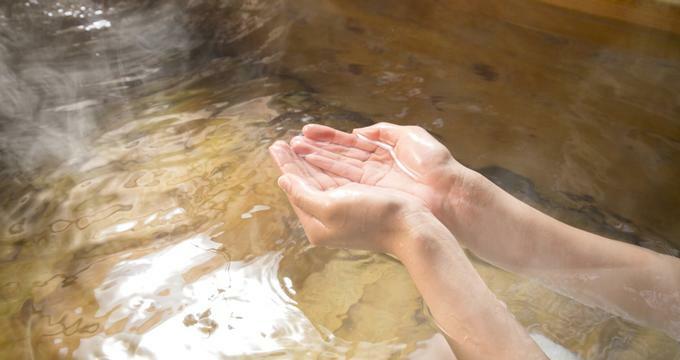 Those who choose to soak in the springs’ hot waters can expect utmost relaxation in an experience like no other. Meanwhile, it’s an experience worth sharing with others where they can share conversations and build bonds while enjoying the rejuvenating effects of the spring. The place is open for night bathing from 1:00 AM to 3:00 AM. Interested parties must make a reservation to use the springs at these times. Reservations must be made from 9:00 AM PST and must be for the same day. Also keep in mind that reservations are only for small groups. The establishment does not accept large group reservations. Sykes Hot Springs is an ideal destination for backpackers who wish to end their hiking activities with a nice bath in a hot spring. With a pretty hiking trail leading to some relaxing springs in the end, those who are fit enough to venture into this spot will definitely not be disappointed. The trail is pretty easy to follow even without a map, making it great for new and experienced hikers alike. The milestones are clearly identifiable so it’s easy to tell how far the hiker has gone so far. There is almost zero chance of being lost as well. Plus, the weather conditions are consistently fine throughout the year, so people can choose to go whenever they like. The entire hike will take about a day to complete (after a two hour drive from the bay). From there, hikers can choose to stay in the spring area for a couple of days, which is what most visitors do. Those who wish to take this as a one day activity can do so as well. The only known downside to this is that hikers may not find much privacy, as they will be sharing the spring with others. Those who have been through the experience have approximated about 3,000 ft. of climbing up and 2,000 ft. of going down. The trail keeps going up and down, so it does take some work to complete it. At the destination is a campsite with lots of hot springs connected to a stream. Thankfully, as mentioned before, the trail is well-maintained and is easy to follow. It will approximately take an experienced hiker five hours to finish the hike, but others prefer to take their time to enjoy the scenery, which is indeed worth the while. The conditions of the trail tend to be mild throughout the year, but it definitely will not hurt to bring some protection from the elements (i.e. something to keep you warm and to protect you from the heat of the sun. Hikers will want to pick up a free fire permit from the Big Sur Forest Service Station (between 8 AM to 4 PM). Note: No wilderness permit required. After driving to the start of the trail, hikers can park their cars at the given space for $5 per night. Each night runs until 3PM. Since hiking is an integral part of visiting the Sykes Hot Springs, make sure that you’re physically and logistically prepared for it. Once you’re ready, making your way to the beautiful hot springs will be worth the adventure.